A new start for S.E. Shires Company! Well folks, it's been a crazy month. 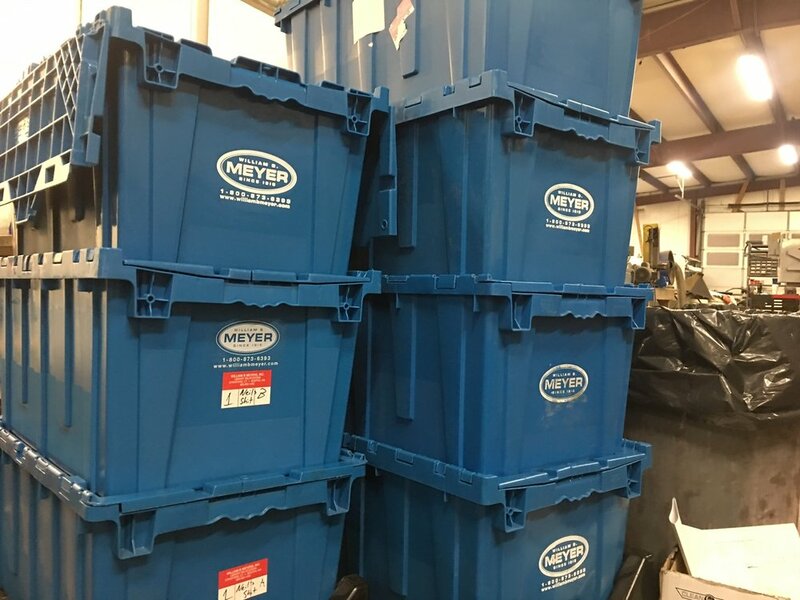 We've been packing, schlepping, moving, and unboxing... but we're just about done with our factory/showroom move! We wanted to document the process to show you what's gone into this giant project! Don't miss your chance to come out and visit us during our Grand Opening Factory Weekend (May 18-19, 2019)! Check out all of the information here! After playing and owning all the different trombones in my lifetime, I have truly found my horn. Michael Davis told me that once I played this horn, I would never go back. Wow was he correct! I love the feeling I get when I play my Michael Davis model Shires trombone. It is so easy to play! The response, the pitch, the center and the evenness across the registers is truly amazing! It inspires me to practice! I feel like the only limit on this trombone is me! It indeed is an Incredible instrument not to mention the craftsmanship and workmanship to this beautiful trombone. During the past three years, we at Castle High School have been a host for a few workshops and clinics for Eastman Shires. I can assuredly say that the Shires company is genuinely interested in serving student and seasoned musicians alike in any way possible. Their products are the top of the line and they seek to get their instruments out there for players to experience and give feedback back to the company. For more information on the Michael Davis Model Trombone, click here! It's the announcement you've been waiting for! We're honored and excited to invite you to visit us during May 18-19, 2018 for the grand opening of our new S.E. Shires Factory and Showroom located in Holliston, MA. This has been a project a long time in the making and we're thrilled to finally put down roots in a beautiful new setting where we can continue to build new instruments for our customers all over the world! 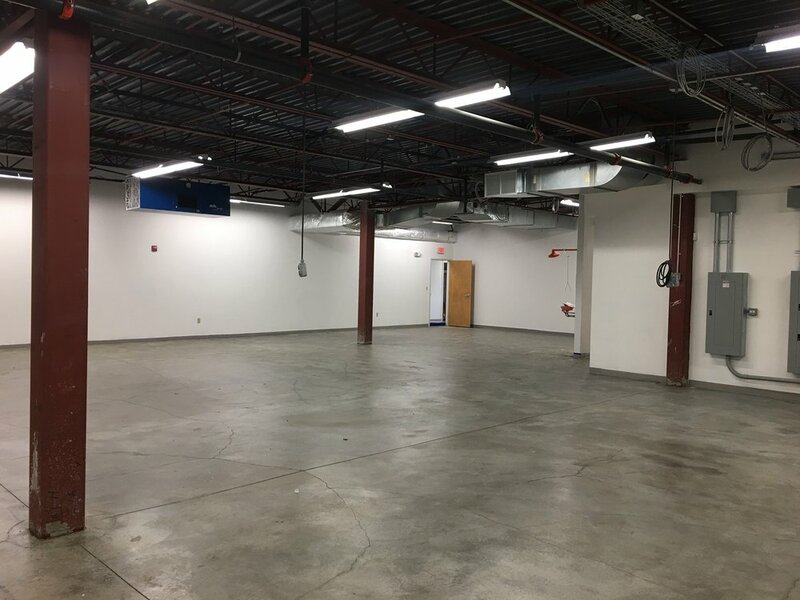 Our new Factory and Showroom includes over 12,000 square feet of space specifically tailored to our needs. During our Grand Opening Factory Weekend you'll be able to sign up for tours, check out our instrument building process, meet the craftsmen who build our instruments, experience a custom fitting with one of our S.E. Shires specialists, and also participate in variety of events including: masterclass and warm up sessions with Shires Artists, group ensemble reading sessions, a Shires company BBQ, and more! Happy Thanksgiving...and a BIG announcement! Today is Thanksgiving Day here in Massachusetts and we have so much to be thankful for. We’ve had an amazing year seeing our instruments go home with wonderful musicians and colleagues, meeting new friends, and sharing our love of brass instruments with the trumpet and trombone communities. We wanted to share with you some of the things we’ve been most thankful for this year! -We’ve introduced new models including the S.E. 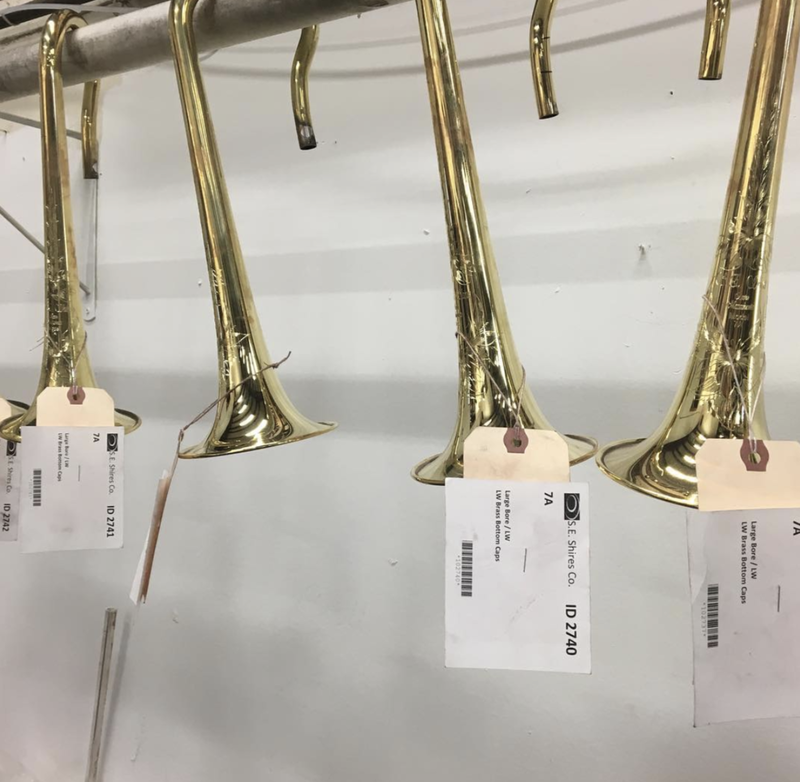 Shires cornet, our CVLA commercial model line of trumpets, our newest addition to the Shires small bore tenor trombone line, and new instruments in our tenor and bass trombone Custom Series line. We’ve never been busier designing and releasing new products for our customers! -We’ve been busy with new projects including the release of our new S.E.Shires website, new Shires swag, S.E. Shires: Explained videos, and of course our popular Shires Factory Weekends! 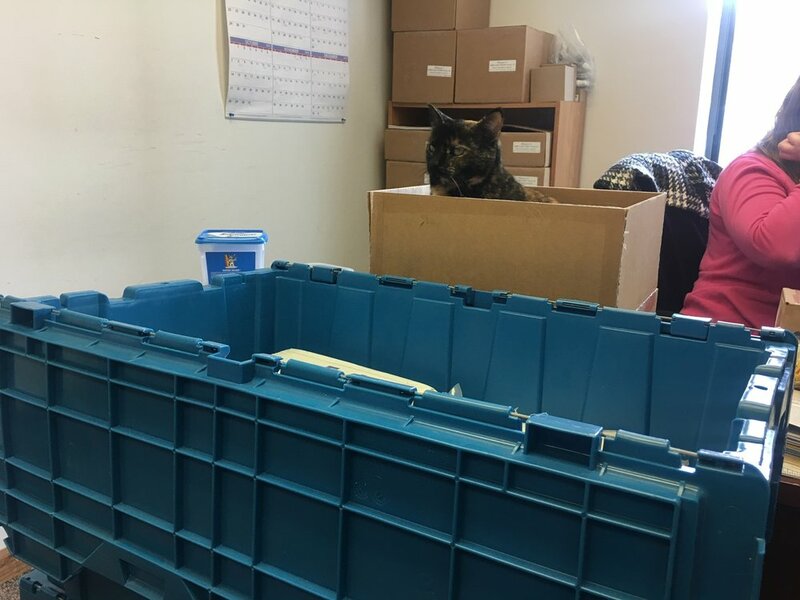 And now to share our biggest news of all, we’re moving! We’re thrilled to announce that we have purchased a new factory and showroom location for S.E. Shires which is located in Holliston, MA (about 10 minutes from our current factory) which offers us a large facility with a beautiful new showroom. This move represents a huge achievement for our company. 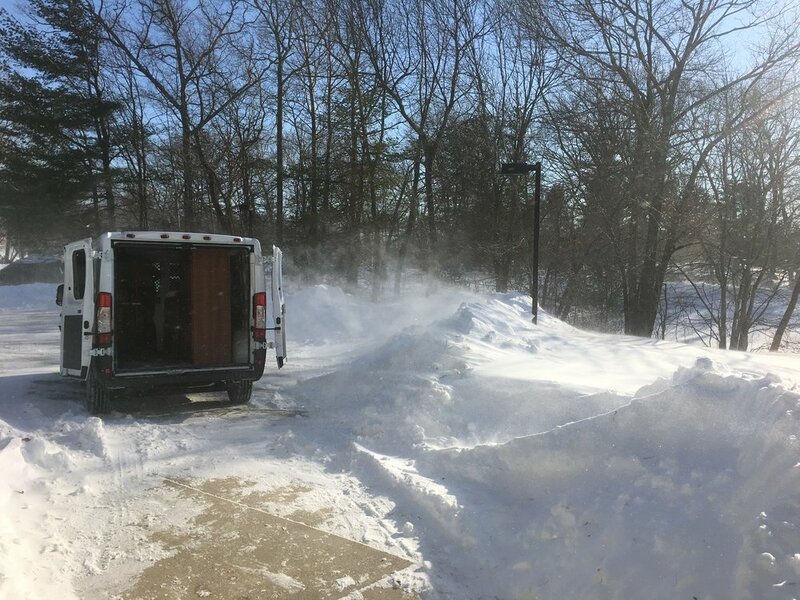 We’ve been in the same location in Hopedale, MA for over twenty years and have outgrown the space with the production and building of our trumpets and trombones. Our following has continued to grow over the years and we couldn’t be happier that so many of you have made the decision to join #TeamShires! We are so excited to share this news with you and hope you’ll schedule an appointment to come and visit us soon after we’ve moved in early 2018. The future is bright for Shires and we’re so excited that you’re a part of it! Brian Hecht is one of those guys that makes you remember why you love music. Not only is he an incredible bass trombonist and passionate musician, he is a dynamic and supportive educator/clinician who loves to share his enthusiasm for music with others. We're incredibly lucky to work with him here at Shires, and we're thrilled that you get to hear from him on this blog! We thought it would be fun to feature him this month and announce his new Brian Hecht Artist model, the Lonestar Bass Trombone! "The first Shires I ever played was after I had been offered a one-year position with the Atlanta Symphony Orchestra in the Fall of 2013. Colin Williams, Nate Zgonc and George Curran had developed this incredible section sound by all performing on Shires instruments and it was clear that my Edwards was not fitting in. At first I made a trip out to Newell Sheridan’s house in Alabama and a few weeks later he met me at Colin’s house in Atlanta. Together we found the perfect setup for me. The blend I was able to achieve with Colin and Nate was immediately apparent. The variety of colors that are available to me in every dynamic and range of the instrument was astonishing. I have played the same setup ever since and haven’t looked back. Last year I approached Steve Shires and Samantha Glazier about the possibility of a personalized Artist model. It was clear to me what this model needed to embody. Growing up in Texas it is near impossible to escape the live music scene. Whether it be classical, pop, rock, indie, marching bands or any other form, live music is a huge part of Texas’ culture. This is a big reason I have a career in music today. In high school, I was in a marching band 300 strong who won top honors in the state for both marching and stage performance back to back years. This was the State Honor Band competition and the UIL State Marching competition. I continued my studies at the University of Texas at Austin, where Texas music became even more a part of who I am. It is because of my beloved musical experiences growing up and the experiences of all my Texas raised colleagues that I knew, Texas deserves its own model. Thus the “Brian Hecht Lone Star Model” was born. The model is still in its development phases, but, the beautiful bell design is complete. Hand drawn by a Texas artist, the design incorporates a few Texas elements. You’ll find the “Yellow Rose of Texas” beautifully surrounded by the iconic Shires brand leafing. Above it, in an Old Western font reads the words “Lone Star” accompanied by the traditional “S.E. Shires, Boston, Massachusetts". Atop this inscription sits two vines of ivy that can be found in nearly every wooded area of Texas. Most familiar to me, found in the vast backyard of my childhood home in Dallas, TX. Finally, at the top of the design, the Lone Star of the State of Texas. A few additions that the Shires company and I are working on and will be releasing in the near future include a wooden G-flat paddle to accompany the wooden F trigger paddle. Also, we will be introducing the first line of American made trombones to have a water key button on the hand slide cross bar. Thank you so very much to Steve Shires, Sam Glazier, and everyone part of the S.E. 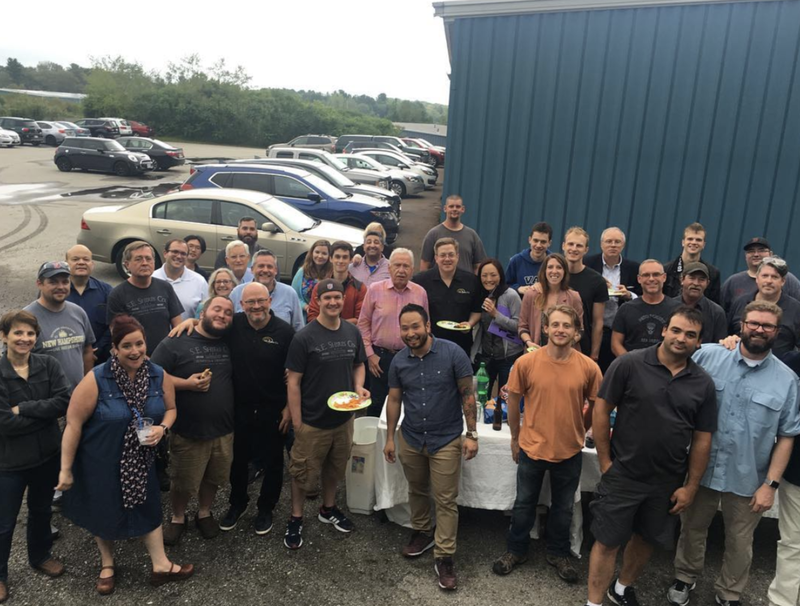 Shires team for this amazing opportunity and for always crafting the best quality professional line trombones right here in the United States. I hope everyone reading this will have a chance to try one of these outstanding instruments." You can learn more about Brian Hecht at his website or check out his upcoming performances and clinic dates here! "S.E. Shires instruments are ideal for who? Everyone!" I am currently working on my DMA in Trombone Performance at the University of Texas at Austin. While finishing my doctorate I have the privilege of working part-time at Music & Arts in Austin, Texas. In the past year Music & Arts has been incredibly fortunate to begin stocking several models of S.E. Shires trumpets and trombones in our store in South Austin.. and wow the word is out! I frequently get inquiries from fellow musicians and colleagues from around the country and also from Europe! Music & Arts serves the musical needs of all level of players; ranging from young musicians in school band programs all the way to career professionals seeking the finest of handmade instruments. But the majority of the store’s customer base is school age musicians and their families. So do I only speak about S.E. Shires instruments to professionals? Heck no! While the sublime character of our Shires instruments may not yet be appropriate for most school-age musicians, these young players always have one placed carefully in their hands! What fun it is to see their expressions transform when the Shires' trademark engraving catches their widening eyes! I say, “Practice everyday, prove to yourself, and to mom and dad that you love music and love playing your instrument, then come see me when you’re ready!" So yes! Everyone! Everyone is the ideal person for our S.E. Shires Instruments! I am so grateful to be able to work closely with the Shires team in Boston and with my Eastman reps locally—always so amazing and helpful! The people at S.E. Shires are truly looking out for you! The company's logo "quality without compromise" is more than a slogan; it is truth.